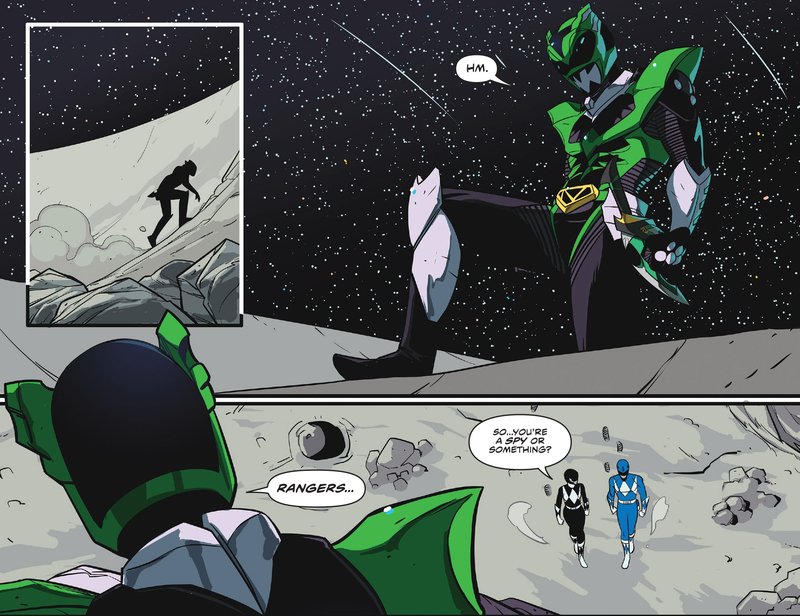 Number 5 – There’s a Psycho Green Ranger?! 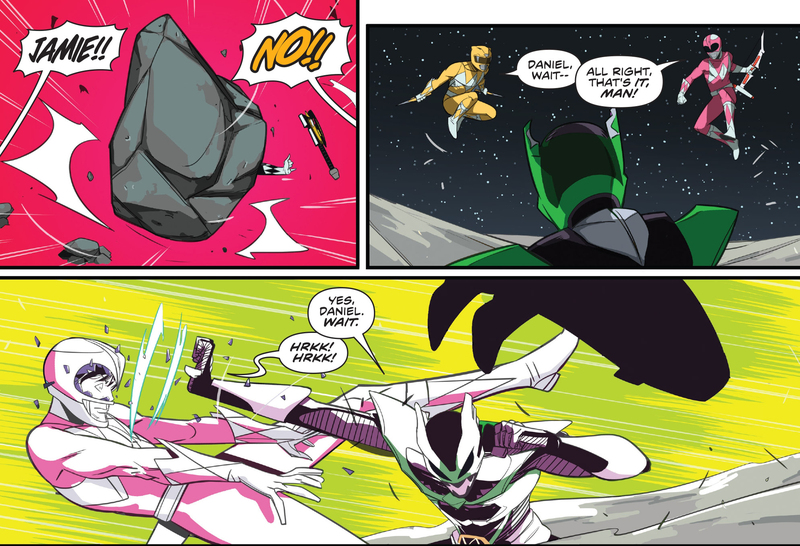 Mighty Morphin Power Rangers Issue 20 was a trip in itself (spoiler – go further down the list). But possibly one of the biggest easter eggs was the introduction of a new, yet still mysterious, Psycho Ranger – the Green Psycho Ranger! He’s on the moon to free Rita Repulsa and it’s up to a brand new team of Power Rangers to stop him! 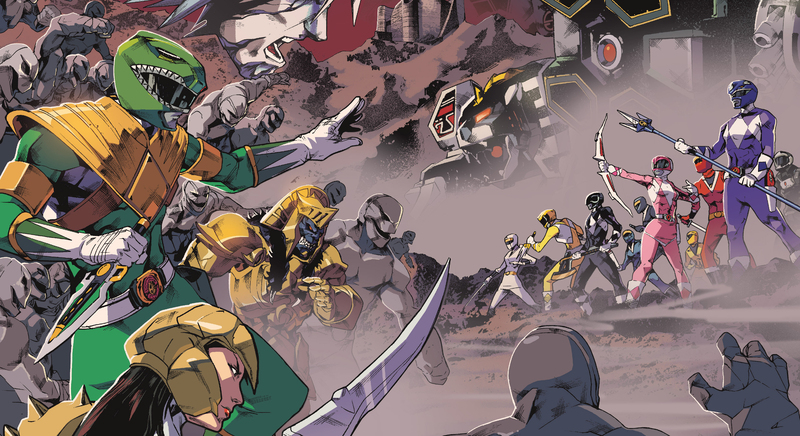 And just to muddy the waters a bit for what he has in store during Shattered Grid, Kyle Higgins (writer, Mighty Morphin Power Rangers) has him kill off a trio of the original-original Power Rangers. This truly set the stage for what was to come. Gone were the days of campy fun. 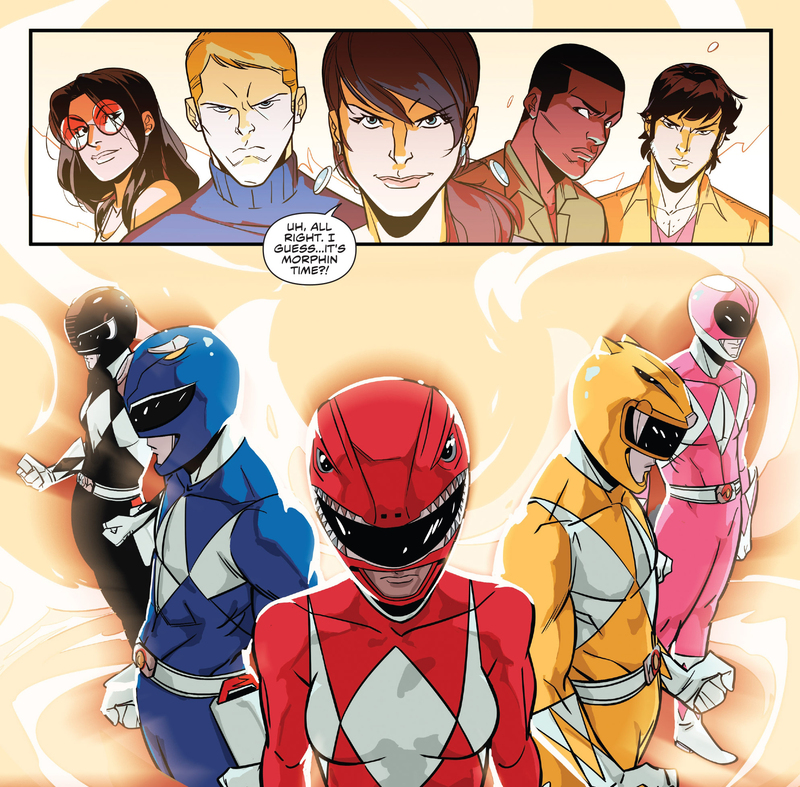 The Power Rangers are fighting a war – and in war there are casualties and death. And the first victims of this war were three Power Rangers we never got a chance to know. Number 4 – The End of Saba? Fearing for the safety of the world, Saba, the sword of the White Ranger, teleports himself straight in to Lord Drakkon‘s prison on Promethea. Using his trademark eye beams, he goes to end Lord Drakkon‘s life hoping to vanquish his evil once and for all. 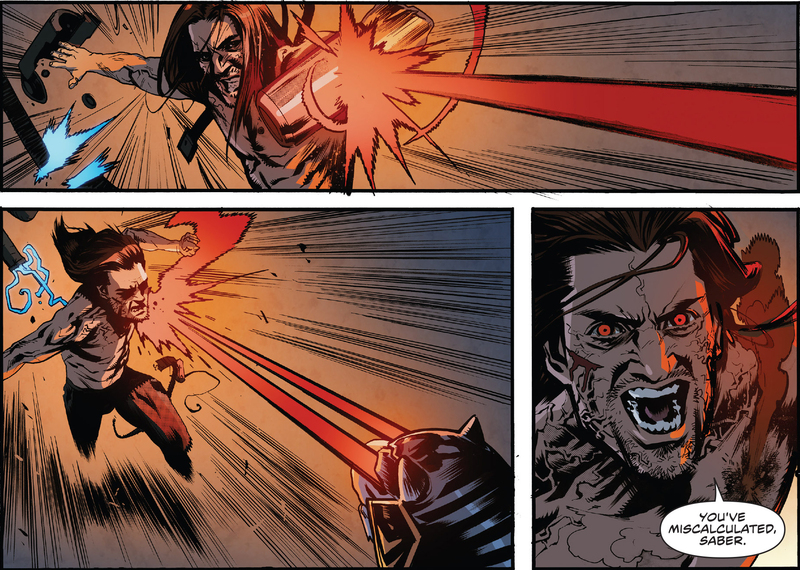 But Lord Drakkon is still Tommy Oliver, and he’s able to free himself using Saba‘s blasts. 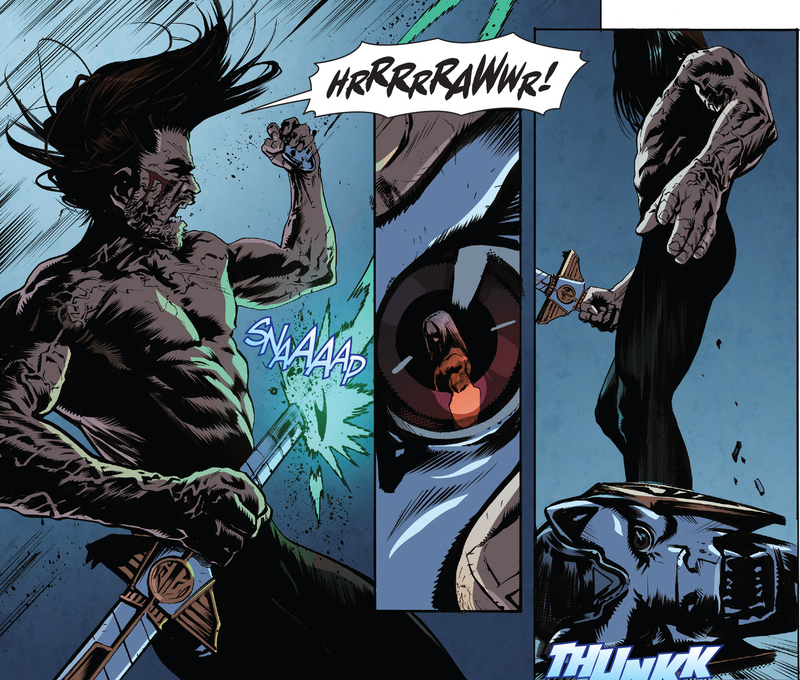 Before Saba could react, Lord Drakkon had him in his clutches … and Saba found himself in two pieces, seemingly destroyed. Is this the end of Saba? And more importantly, is this the beginning of the end for the Power Rangers? 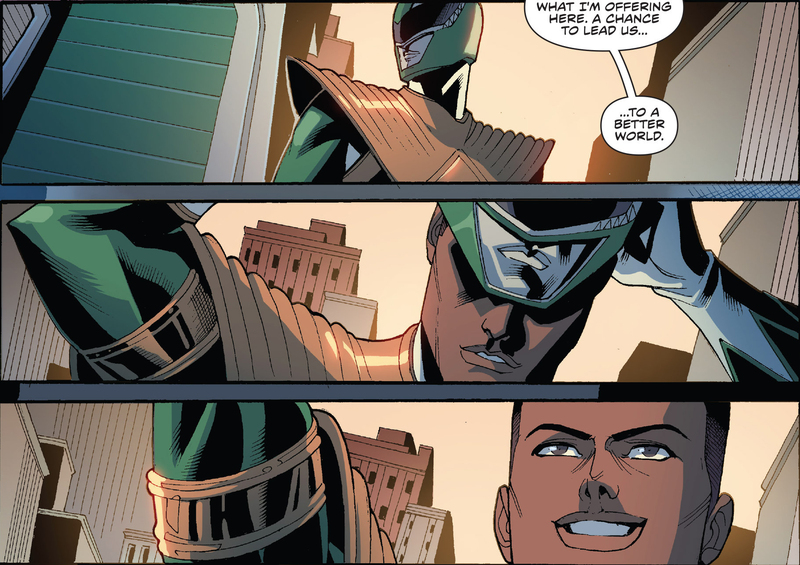 Number 3 – Zack Taylor, Evil Green Ranger? Fans love the Armored Black Ranger, first seen fighting the Oysterizer monster in Season 2 of the Mighty Morphin Power Rangers. But Kyle Higgins shows us that before Tommy Oliver became the Green Ranger, Zack Taylor was offered the position by Rita Repulsa! 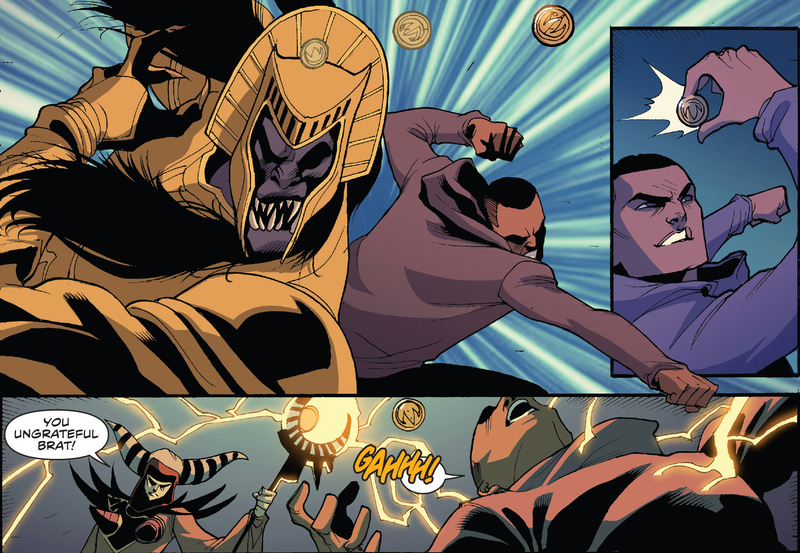 Frustrated at being second-in-command to Jason, the Red Ranger, Zack’s frustration leads Rita Repulsa to offer him the powers of the Dragon Coin to rule at her side. In the end Zack refuses and escapes. What we, the readers, didn’t know is that this was perfectly setting up the history of Lord Drakkon and his alternate world. Still, many of us can’t help but wonder … what would the Power Rangers be like with a Green Ranger named Zack? The first female Red Ranger was technically an evil Red Ranger from Power Rangers SPD – the A-Squad Red Ranger. After her came Lauren Shiba, the true Samurai Red Ranger. And finally … or firstly … there was Grace Sterling, the original Mighty Morphin Red Ranger. Chosen by Zordon for an important mission on the moon to stop the evil Psycho Green Ranger, Grace led her brand new team to the moon. Unfortunately, the battle proved to be too much for the team as three Power Rangers were killed in action. After the battle Zordon stripped the surviving Rangers of their powers as they were no longer needed. Wanting to still do more and help, Grace was refused and sent on her way. 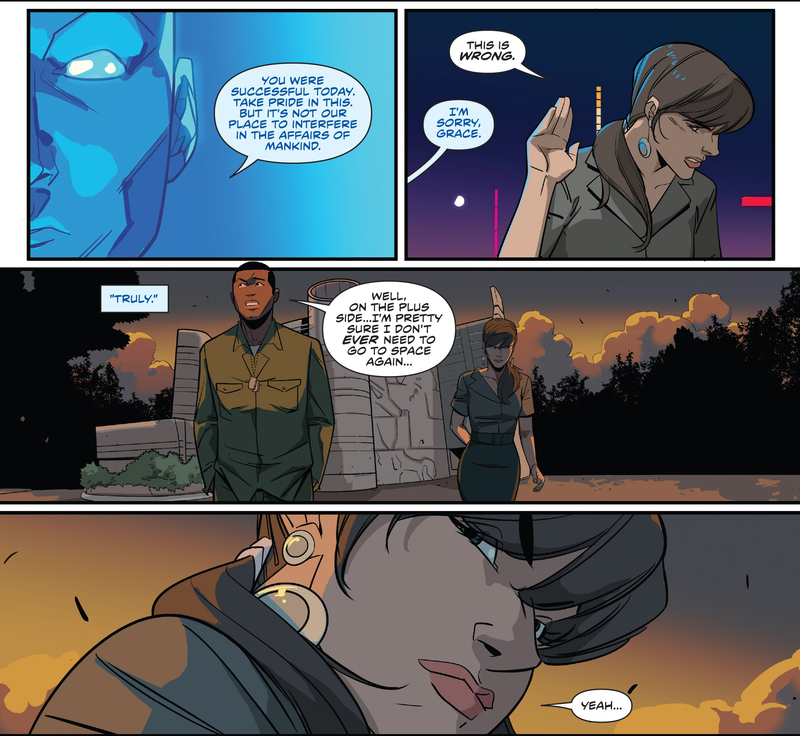 This would lead her to become the woman she is today – a secret US Government agent with a full working knowledge of the Power Rangers as well as using her own reverse-engineered technology of the Power Rangers to assist in stopping Rita Repulsa. But to this day the Power Rangers doubt her motives as she continues to hold back information, such as Lord Drakkon‘s imprisonment. What is Grace Sterling‘s endgame? So for the first 9 issues the Power Rangers are fighting Rita Repulsa, some sort of crystal that collects green chaos energy, and then this evil Black Dragon appears. Once they defeat him we are shown that it was simply a vessel for an evil Power Ranger of some sort from a different world. That evil Power Ranger is none other than an alternate reality Tommy Oliver who willingly chose to be with Rita Repulsa, becoming Lord Drakkon and conquering the Earth. On top of that – Lord Drakkon has killed Jason, the Red Ranger, as well as Billy, the Blue Ranger, and taken the powers of the others. It’s also presumed that Lord Drakkon‘s forces killed the Alien Rangers, the Phantom Ranger, the Blue Senturion, Ninjor, Alpha 5, and Zordon. This Lord Drakkon guy means business and not good business. He is the focal character for the upcoming Shattered Grid event in the Power Rangers comics and he may very well spell the doom for the Power Rangers. While “evil mirror worlds” are not necessarily the most original of content, it is rather original in Power Rangers, having only one episode in nearly 800 episodes feature “evil Power Rangers from an alternate dimension” (kudos if you can name the episode and season). Kyle Higgins manages brilliantly to create an inclusive world where all you want to do is learn more about it. Where are the other allies that the Power Rangers would eventually meet – like the Zeo Gold Ranger and Robo Knight? Where is the Zeo Crystal? Where are the Samurai Power Rangers, who exist in the same world and simply pass their powers down to their children? And where is Andros, the In Space Red Ranger from KO-35? Maybe we will get our answers some day. Until then enjoy the ride! Special note – the events in Mighty Morphin Power Rangers Issue 25 automatically take the first spot, however, we didn’t want to spoil you in this article!